After a brief delay (blame my CMJ back-log of posts), the Spinning Indie 50 State Tour is back. Most weeks I will be sharing an interview with a college radio station from one of the 50 states in order to expose more people to the interesting things happening at college radio stations in every corner of the country. So far I've talked to stations in Arkansas, Wisconsin, and Kansas. This week my virtual tour takes us to Louisiana to chat with Tulane University station WTUL in New Orleans. WTUL was actually the very first station that I contacted about this "50 State" project, but a few hurricanes and my trip to CMJ delayed the publication of the interview. WTUL is a freeform FM station and will be celebrating its 50th anniversary in 2009. Like many college radio stations, in its early years it was an AM campus-only carrier current station. Today, they focus on playing music that "can't be heard on other radio stations in the New Orleans area." Their schedule is mostly comprised of the following WTUL defined categories: classical, jazz, progressive, and specialty programs (including punk, experimental, loud rock, opera, folk, blues, country and hip hop). Thanks so much to WTUL's Promotions Coordinator Lisa Mirman for taking the time to chat with me about the station. In turn, Lisa talked to many station staff and alum, including: Rob Rioux, John Maraist, Mark Tobler, Conner Richardson, Rachel Wenzel, Duncan Edwards and Tel Bailliet for fact-checking and critical details about the station's history. 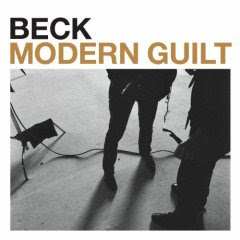 Lisa also provides some direct quotes from Music Director Rob Rioux (including a Beck review that also serves to encapsulate aspects of the station's music philosophy). In her interview Lisa shares with me some interesting moments from WTUL's history, including an incident involving the song "Hotel California," Jerry Springer's connection to the station, and how a condom-covered microphone wielding DJ in a dorm shower inspired 24-hour DJ shifts during their fundraiser marathons. She also relays an inspiring story of how the station pulled through after Hurricane Katrina, thanks to help from near (a local coffee shop) and far (technology assistance from Stanford) and also talks about big plans for the station's 50th anniversary. Spinning Indie: What's the overall mission/programming philosophy of WTUL? Lisa: Giving exposure to independent artists that wouldn’t be heard otherwise is our main mission. We also strongly support local artists. The basic rule of thumb is, if you hear it on another station, you won’t hear it on WTUL (and vice versa!) We are one of the few free-form stations in the country. WTUL is the anti-Clear Channel. Spinning Indie: I hear that the station will be celebrating its 50th anniversary in 2009. What do you have planned for that? Lisa: We are really excited about our 50th! We are going to combine our birthday celebration with some of the events for our annual fundraiser, the Rock on Survival Marathon. Plans are in the making for a 50th Birthday Bash block party involving multiple venues and local bands that have been featured on our annual Songs from the Basement compilation CDs (our 7th will be coming out in the spring). We'll also have limited edition merchandise and other goodies. "The history of WTUL as told by Robert L. Dunn" (which can be found in its entirety in the history section of our website) tells of the beginnings of WTUL’s annual fundraiser: “It was in the Spring of '72 that the first "Rock On Survival Marathon" took to the airwaves. Contrary to what people claim--this was the first station fund-raiser of its kind. Years earlier in the carrier-current AM days, a jock had done a 24-hour broadcast from a dorm shower with a condom-covered microphone…"
Inspired by that DJ, we have a 24-hour DJ weekend during Marathon. Being a 24-hour DJ is quite an honor. The air-staff votes on candidates and the three highest vote-getters share that privilege. Each does a 24-hour on-air shift to solicit donations from our listeners. This year our goal is to raise $50,000 for our 50th birthday. Spinning Indie: I know you were off the air for awhile after the flooding from Hurricane Katrina. Did the station suffer significant damage? Did you lose historical artifacts? Lisa: We were lucky to have been on the second floor, so while the building we were in was eventually demolished, none of our music library or equipment was damaged. Packing and moving out of there was quite an experience – the minimal lighting we had was running on a generator and kept going out every few minutes. 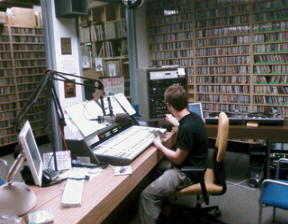 All but one or two of the student DJs were out of town for the semester, but our engineer, Robert Carroll, and advisor, Tel Bailliet, were back, and the station's local staff and alumni turned out to get us back on the air and staff the station until the students came back the next semester. Those of us in that small group possess coveted “Resurrection Staff” t-shirts, designed by John Maraist, one of the alum whose organizational skills were pivotal in getting the station packed up (we had less than a week’s notice before the building was demolished!). WTUL staff and alum were scattered everywhere by Katrina. Two of those, Carr Wilkerson and Conner Richardson teamed up and connected with Stanford's Center for Computer Research in Music and Acoustics (CCRMA) and the center’s engineer, Fernando Lopez-Lezcano. Together, they set up a system that enabled WTUL to broadcast during the times that we could not have live DJs (particularly overnight in the land of post Katrina curfews that were in place at the time). Acting as a relay station, the CCRMA server used audio streaming to link listeners by computer to pre-recorded radio programs made by Tulane students, New Orleans locals, faculty and staff DJs. We are grateful to Stanford and CCRMA for donating this assistance to WTUL. We got back on the air in December 2005 and broadcast out of the mezzanine of the Rue de la Course coffee shop for a while, which was also a unique experience. During every air-break listeners got to hear the clanging and banging of the espresso machine in the background. The coffee shop was only open until 7pm (nothing was back to normal business hours at the time) but we were permitted to stay until midnight. It got a little creepy sometimes. There was one incident when a would be thief ran into one of our DJs, Jon Ulz, around midnight. The intruder tried to pass himself off as a coffee shop staffer (5 hours after closing) and asked to borrow Jon’s key to get out – not the brightest criminal ever. Spinning Indie: What's the longest running show/DJ at the station? When did the show/DJ first go on the air? Spinning Indie: Do you have music in your library dating back to the early days of the station? Does it get played? Lisa: We’ve got vinyl going back to the beginning. WTUL started out as an AM station and the early stuff doesn’t really fit our current format. During our annual Marathon fundraiser, listeners pledge money to “be the DJ” and select music –that’s when you will hear a lot of music that isn’t usually played on WTUL. Spinning Indie: Do you have any specific programs/specialty shows that are unique to WTUL or stand out as being different from anything else on radio? Lisa: WTUL has a wide variety of programming in addition to our core of progressive, jazz and classical shows. Brian Denzer, our classical music director, spearheaded a Saturday morning Community Gumbo show. While the show was designed to address important local issues from the beginning, it has taken on even more significance in the years after Hurricane Katrina. The Cheez Music Programme, which is sort of new agey music, has a very dedicated listenership. The weekend focuses on specialty shows – opera, stage & screen, folk, blues, Americana, country, kid’s show, electronic, alternative oldies, to name (more than) a few. Weekday evenings we’ve got Latin, reggae and world shows. Our weekly local program showcases the diversity of New Orleans music. 20th Century Classics is also a very unique program. Most classical radio in the U.S. focuses entirely on pre-WWI composition, maybe with the occasional short Glass or Shostakovich piece every few weeks. WTUL's classical programming in general, and the 20th Century Classics Show in particular, is one of the few forums in this country for new formal works.While other stations may have similarly named programming, WTUL puts its own spin on it all. Music Director Rob Rioux: Every piece of music that gets sent to WTUL gets heard by an MD. Each disc is decided 'yes/no' on an individual basis. Sometimes, major label releases do make the grade, but on average we're adding far more independent labels (and self released projects) than major label acts. "One day I've promised myself to write a few essays to add to the station's folder of such things. One will be my thoughts on what makes a good progressive show, and one will be my thoughts on what WTUL's programming mission should be. In a way, this disc offers me a chance to encapsulate my feelings on these matters, specifically the latter point. WTUL's purpose should be to offer crucial exposure of new artists to our listeners; back when I started at WTUL (pre electricity days) we were literally the only game in town; no internet. Doesn't that last statement give you shivers? All I did back then was be depressed that I could not check my Facebook because I didn't have a Facebook because I didn't have an email address because there was no Internet. Anyway, while new artist exposure is critical and should be the main focal point of this station, it should not be at the expense of all the other music that gets released (from the artists/releases that are not so new). Now Beck doesn't need the help; pretty much everyone knows who he is. The thing is though, despite his level of notoriety he is still making records that fit in with the bigger picture programming sound of the station, and as such he finds himself yet again in our merit section...This is a pretty good record, though the only Beck album I own and will probably ever own is the stunningly gorgeous and languid 'Sea Change'. If this is worked in sparingly and carefully into the right progressive set, there is not a thing wrong with WTUL playing Beck – but that is only one opinion and nothing more, no matter how many of these little review thingys I crank out. Note: Danger Mouse plays and produces and Chan Marshal guest vocals as well. RR 7/9/08"
Lisa: Vinyl... we have over 20,000 pieces of vinyl, however the amount of new vinyl that is sent in to the station has decreased drastically. But if the content makes the grade then it will be added. There are some of us that have a love of vinyl and incorporate it into our shows. We have an Alternative Oldies show every Saturday night and most of what is played during that show is vinyl. Spinning Indie: Do most students at Tulane know about the station? Do a lot of students listen to the station? Is the staff mostly students? Lisa: WTUL isn’t as well known on campus as we would like to be, which has been an age old problem that we are working to improve. While the majority of our all volunteer staff does consist of students, we also have a core group of “lifers” made up of alumni, university staff and community members. WTUL has a strong, dedicated listenership in the local community. We also have national and worldwide listeners via our webcast. Spinning Indie: Tell me about the Jerry Springer connection. Any other famous alums? Lisa: Jerry Springer was actually the one to announce the news of JFK's assassination to WTUL listeners. Ivan Bodley, bass player and musical director for a long list of performers, was a noted WTUL Punk Show DJ in the 80s. Ernie K-Doe, best known for his colorful personality and his 1961 hit song "Mother-In-Law,"was a DJ at WTUL in the 90s. There is a clip from a documentary about Ernie K-Doe in the media section of our website that gives a taste of his WTUL show. There are also a number of record company execs that are former WTUL DJs. Spinning Indie: Any other interesting tidbits about the station that you'd like to share? Stay tuned. Next week the Spinning Indie 50 State Tour will travel to Alaska. OMG!! Jen Waits! I'm at a radio staff meeting and Lisa M just made the connection for me! This is a fun project. Great stuff so far. Looking forward to more. Glad you found the blog. How are you? I'm glad to see you're still Djing!